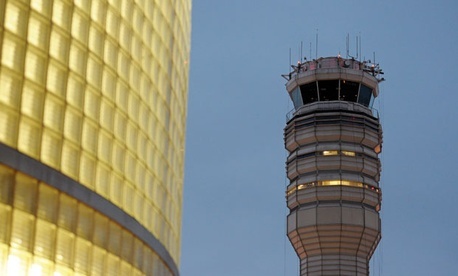 Did FAA Play Politics in Applying Sequester Law? Last week’s successful push to cancel air traffic controller furloughs has drawn cheers from the flying public, lawmakers, airlines and unions. But with the stage now set for disputes about whether other programs deserve to be spared the blunt blade of sequestration, the Federal Aviation Administration’s handling of its cutbacks and resulting flight delays bears examination. Government Executive interviews with budget specialists of varying political leanings show a rough consensus that the Transportation Department agency had a small degree of flexibility, but that the Obama White House was calling many of the shots. On Friday afternoon, just after the House passed a bill eliminating air traffic controller furloughs, the FAA released a brief statement saying, “Air traffic facilities will begin to return to regular staffing levels over the next 24 hours and the system will resume normal operations by Sunday evening.” Once signed into law, the bill will allow the Transportation secretary to avoid furloughs by transferring funds from the FAA’s long-term grants account called the Airports Improvement Program. Even so, the issue of FAA’s flexibility comes down more to timing than substance, in Bell’s view. “The FAA didn’t have just one thing to do; they chose to negotiate with unions to make the furlough cuts across the board throughout all American airports,” he said. Many forget, he added, that the administration early on had warned that furloughs under sequestration must be carried out with consultation with unions and their collective bargaining agreements. “So in the end, the FAA would have had to resort to what it did, just not as early,” he said. Scott Lilly, a former House Appropriations Committee staff director now senior fellow at the liberal-leaning Center for American Progress, said the FAA had already “stretched the limit of flexibility more than the law allowed.” The law’s definition of projects, programs and activities is “very squishy,” he said. Congressional staff wrote in “very specific definitions with respect to facilities and equipment,” however, he added, requiring the agency to spend exactly what it presented in its fiscal 2013 budget justification, which may have 100 pages of detail. The justification includes a $7.5 billion line item for air traffic operations that leaves limited flexibility to cut controller salaries, he said. Indeed, Professional Air Traffic Controllers Organization President Ron Taylor alerted his members that the bill -- which passed the Senate late Thursday and now awaits President Obama’s signature -- does not guarantee the restoration of the contract towers, and so his union will continue its push to head off the cuts. Meanwhile, on Monday White House Press Secretary Jay Carney sparred with reporters over the FAA's degree of flexibility and the larger showdown over the future of sequestration. "Congress had to pass a law because it was not possible legally to simply reprogram funds," he said. He added that this "is why we have the problem, in addition to the fact that Congress seems to be unwilling -- or Republicans in Congress seem to be unwilling -- to ask millionaires and billionaires to give up some special tax breaks in order to avert the kinds of negative effects that the sequester is having now on regular folks out there."